HEXUS is the place to be if you want to win awesome PC hardware and components! Our latest giveaway is a special one for our UK readers: we're offering all you Brits the chance to win a Vanquish Mini 130 small-form-factor (SFF) rig from award-winning system integrator PC Specialist! 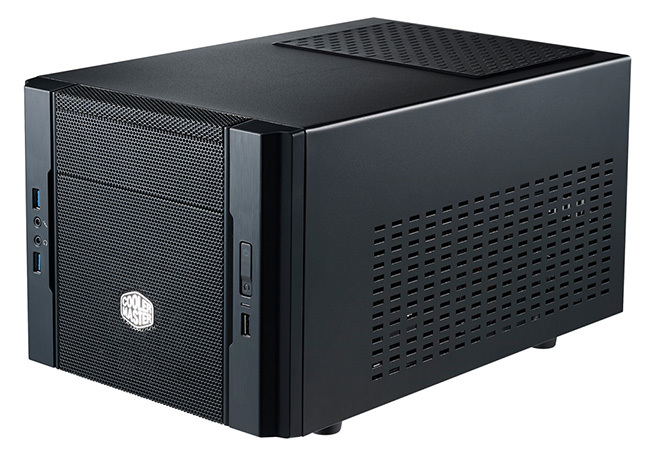 Housed in a Cooler Master Elite 130 chassis, this compact PC touts a fourth-generation Intel Core i3 processor, dedicated Nvidia GeForce GTX 660 graphics, 8GB of Kingston HyperX memory and Microsoft's Windows 8 operating system. The entire system would normally set you back £549, but we're giving it away for free! Don't miss out on this opportunity to win what could be a great portable gaming rig or an ultimate HTPC. To be in with a chance of winning, simply answer the following question - and don't forget, you can claim a free second entry via Facebook! The competition winner will be picked at random from all eligible entries that arrive by midnight of the closing date, March 10, 2014. The winners will be notified via email by March 17, 2014. The winner must claim their prize within 7 days of the promoter sending notification. If the prize is unclaimed after this time, HEXUS reserves the right to offer the unclaimed prize to a substitute winner selected in accordance with these rules. I'm in. Thanks HEXUS and PC Specialist. Similar spec to the system I'm about to build, but in a much smaller case. Count me in! Ooh, I could really do with something like this - It even beats my rather low-budget ‘high end’ gaming rig! !